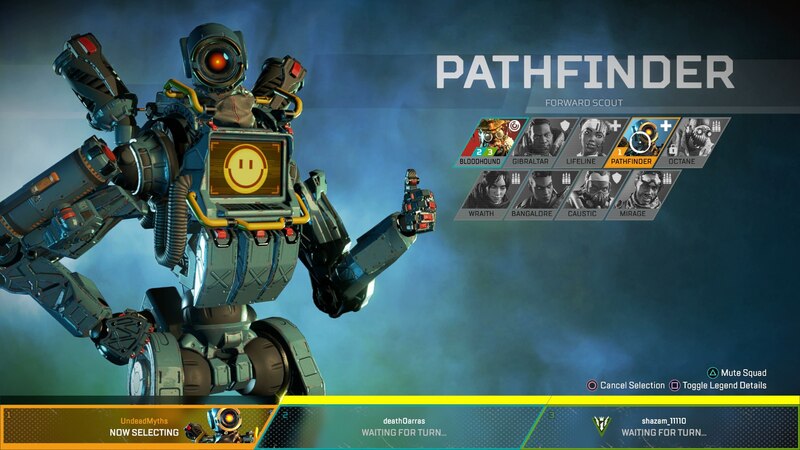 Pathfinder is the robotic character in Apex Legends, and you might recognise this character if you played Titanfall previously. In our Apex Legends Pathfinder guide, we'll be putting together a full guide on the character, including backstory, tips, abilities, legendary skins, and more. However if you instead need any additional information on the wider game of Apex Legends, you can head over to our complete Apex Legends tips page. It's here that you can find our detailed list of essential tips that all players should know, as well as a full index listing of all our additional pages on the game. Much like Wraith, Pathfinder has very little idea of who they actually are. After waking up in an abandoned lab a few years back, the MRVN unit has set out on a journey of self discovery, travelling far and wide in an attempt to meet his maker. The whole goal of Pathfinder joining the Apex Games is to actually gain a following. He hopes that through rising to stardom, he can draw the attention of his creator, and ultimately discover more about himself. 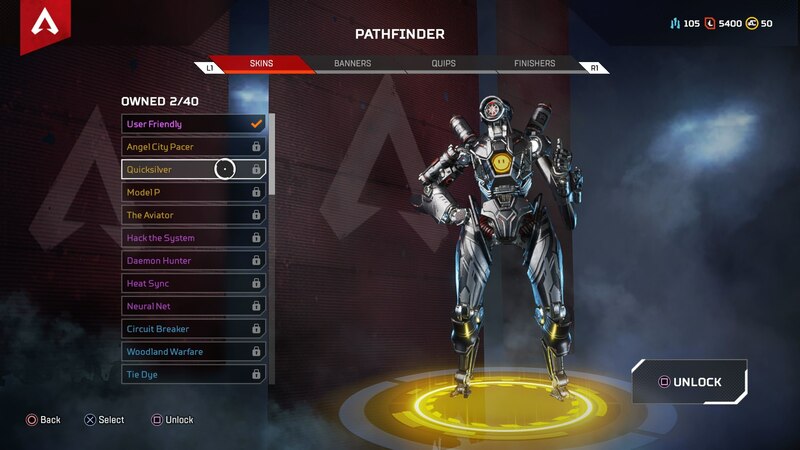 As always, Pathfinder has three unique abilities in Apex Legends. Since Pathfinder is technically a scout, all three of his abilities are fairly passive in nature. Insider Knowledge (Passive) - Find and scan a survey beacon to reveal the next location of the shrinking ring. Grappling Hook (Tactical) - Grapple up to higher ground, or within a certain distance, to quickly traverse the battlefield. Zipline Gun (Ultimate) - Creates a zipline between two points, which your entire team, and other players, can then use. 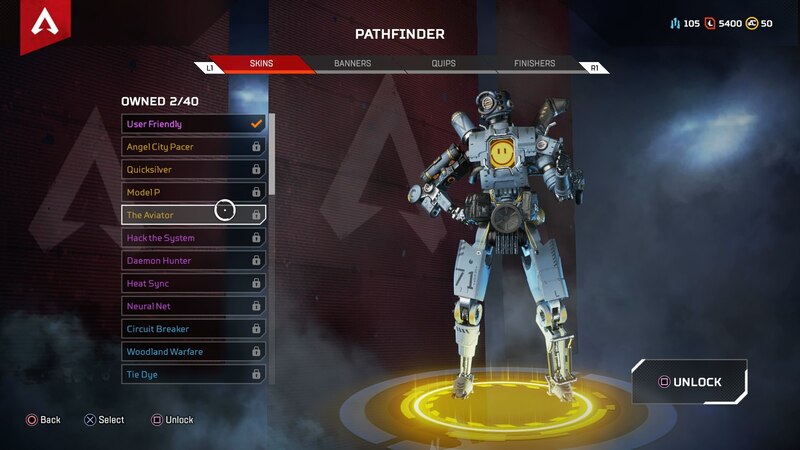 As you can tell from the abilities above, Pathfinder definitely isn't your character for firepower in Apex Legends. Instead, Pathfinder exists to support the other two members of his team, especially with the Insider Knowledge passive ability revealing where your team should be going next. Whereas the Zipline Gun can be used by everyone, the Grappling Hook is for Pathfinder only. Therefore, use the latter ability to quickly get a height advantage on enemy teams approaching you, so while your other teammates draw their fire on ground level, you can shoot down from above. The Zipline Gun ultimate is great for both retreating and traversing. If you need to get somewhere quick, for example escaping the enclosing ring or making it across open ground where you might be shot at, you should use the zipline. Alternatively, you could use the Zipline Gun to quickly escape from combat, although keep in mind that all enemy players can also take advantage of the zipline you've created and use it themselves. Below, you can see all of Pathfinder's legendary skins in Apex Legends. You can unlock them either through Apex Packs, or by paying 1,200 crafting materials. 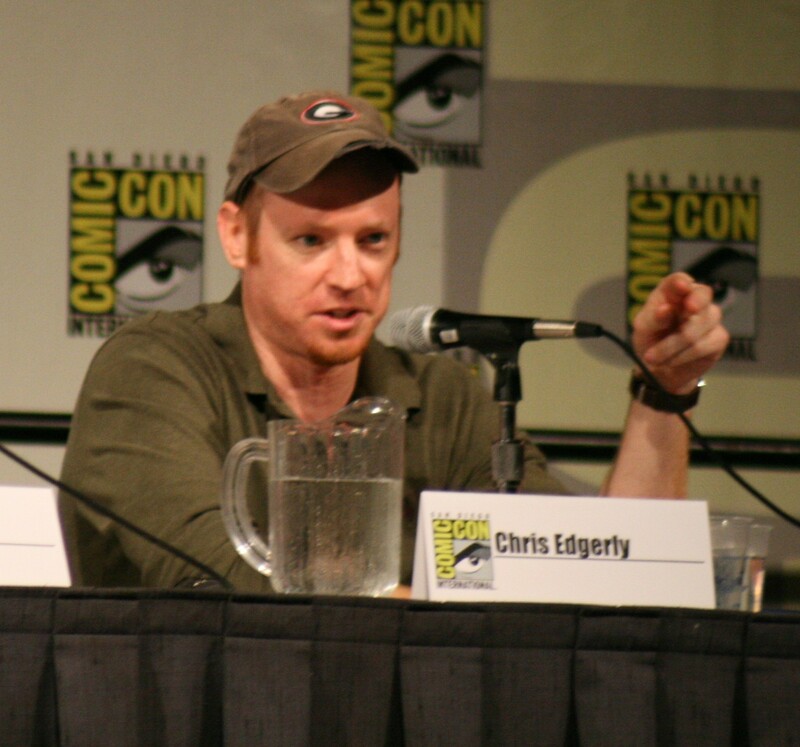 In Apex Legends, the voice of Pathfinder is that of Chris Edgerly. He has previously had voice roles in Final Fantasy 7: Advent Children, The Simpsons, F is for Family, and many other shows and movies.